The Shimano PD-R500 SPD-SL Road Pedals are perfect for cyclists looking to transition to clipless pedals. Extra wide platform makes it easy to position your foot and extra large entry target allows trouble-free cleat engagement. Resin body construction is extremely durable and its stainless steel cover protects the body from abrasion. 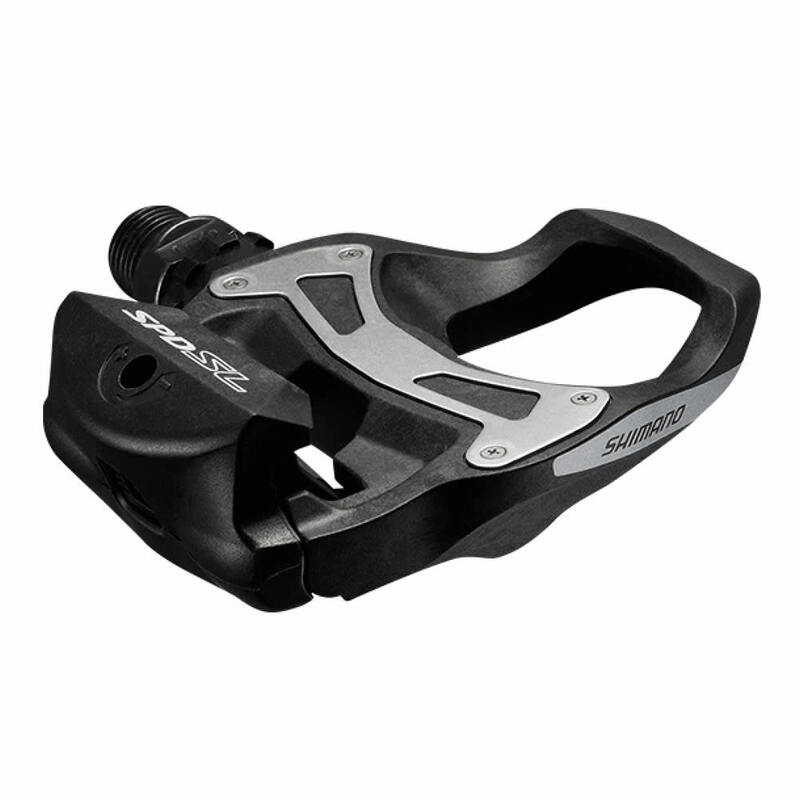 Wide range of tension adjustment lets you determine how tightly or loosely you're clipped into the pedals. Designed for all riding levels and equipped with full features for road performance.